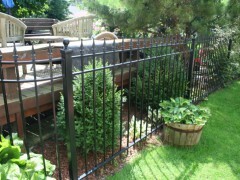 An Old Dutchman's Wrought Iron, Inc. custom designed and fabricated wrought iron fence can add beauty to any property. 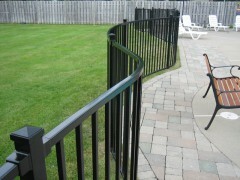 Let use design a fence for your property with the fine quality of work we are known for. Our talented craftsmen create all our custom aluminum fencing by hand. The quality of the product is unmatched in its beauty and maintenance free characteristics.